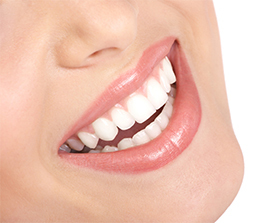 Retainers are VERY important for the success of healthy, straightened teeth. 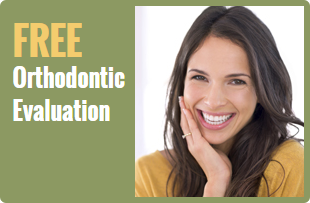 Many people are ecstatic to have their braces removed, however, this doesn’t necessarily mean you no longer have to wear orthodontics. Unfortunately, our teeth have a natural tendency to drift back to the state they were in before braces treatment began. This is why it is absolutely vital that you wear a retainer as directed by your orthodontists in order to keep the results you worked so hard and long for in achieving. Your orthodontist will outline a game plan for you to follow when you first receive your retainer. Retainers are offered in a couple of different options such as plastic retainers and wired retainers. If your teeth have made significant progress, then you will most likely only need a clear, plastic retainer, which are the easiest to manage. Wire is the other common option. Retainers are generally worn all day every day until the orthodontist believes this is no longer necessary. At that point, you will only need to wear the retainer every night, which eventually turns into only a few times at night per week. Teeth will drift so you will most likely have to wear retainer for several years, but as mentioned the frequency of wearing significantly drops over the years. Plastic retainers do wear out over time (2 years), at which point your orthodontist may opt for a wired retainer, or a new plastic one. Retainers are a bit easier to manage than braces (whew! ), however they too still require necessary care in order to protect them from preventable damage. Develop a habit of removing them when you eat and/brush and floss your teeth. This will save you from unnecessary damage. It is OK to eat with them on, but it means you will have to spend more time cleaning them. For plastic retainers – do not use a brush to clean. This may scratch them. Instead, gently run hot water over them and wipe them down with a tissue or very soft rag. Wired retainers can be safely brushed with toothpaste and warm water. If brushing becomes too bothersome over time, then set aside a small cup or jar of water and let your retainers soak in it overnight. If at any point you believe your retainer is damaged or does not fit properly, then do not hesitate to contact your orthodontist to remedy the situation. 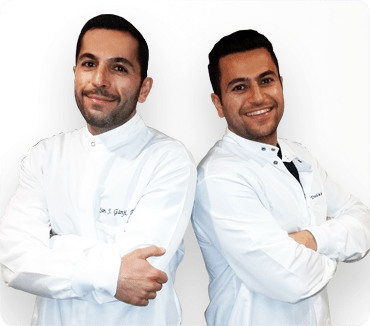 Select the orthodontist nearest you if you have any questions or problems regarding retainers or other orthodontic appliances. We can also be reached through our online form where we will respond at our earliest convenience.